My family is the happiest when we are outdoors exploring whether it be camping, hiking in the National Parks or going on off-road biking excursions. Since I am also a homeschooling mom, I enjoy using these adventures for real life learning moments for my three children too. 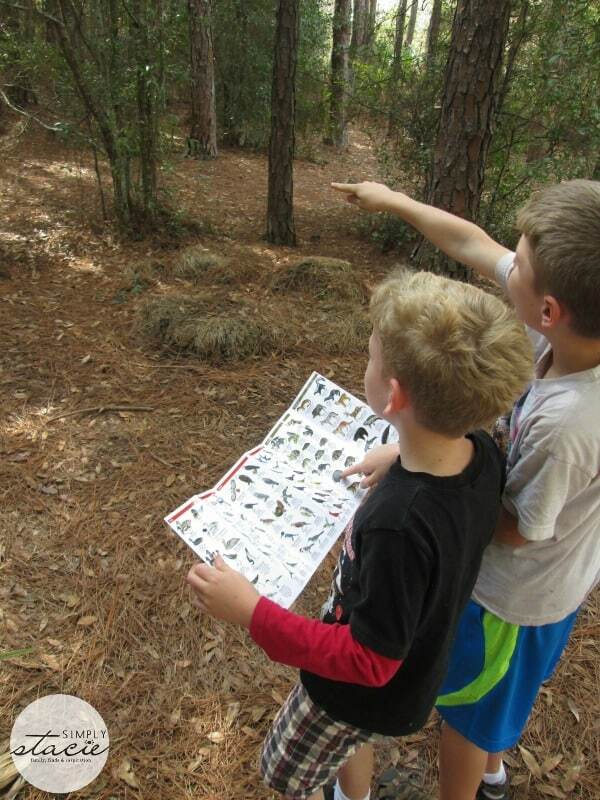 There have been so many times when we have discovered an animal or plant that we would have loved to be able to identify but we didn’t have the appropriate resources to figure it out. Fortunately, Waterford Press has a wonderful selection of the highest quality pocket guides for naturalists that will be very useful on our upcoming outdoor adventures! Waterford Press has collaborated with the Emmy award winning adventure host, Jeff Corwin of ABC’s Ocean Mysteries television series fame, to create a series of six adventure seeking pocket guides. 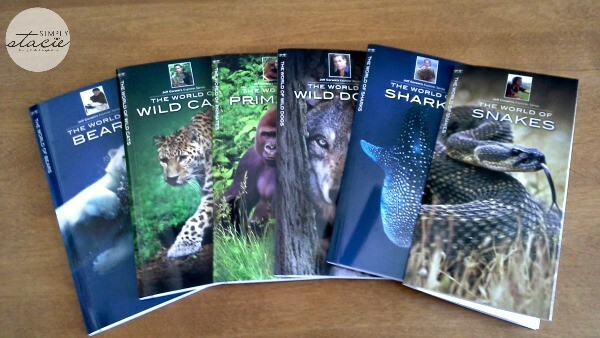 The Jeff Corwin’s Explorer pocket guide series features The World of Bears, The World of Primates, The World of Sharks, The World of Snakes, The World of Cats and The World of Wild Dogs. Each of these exciting pocket guides is perfect for novice and/or young explorers to learn about the world’s most popular animals. Each guide is literally packed with information and it explains how the animals are designed, behavioral characteristics, worldwide distribution and why their survival is so important for us and our planet. 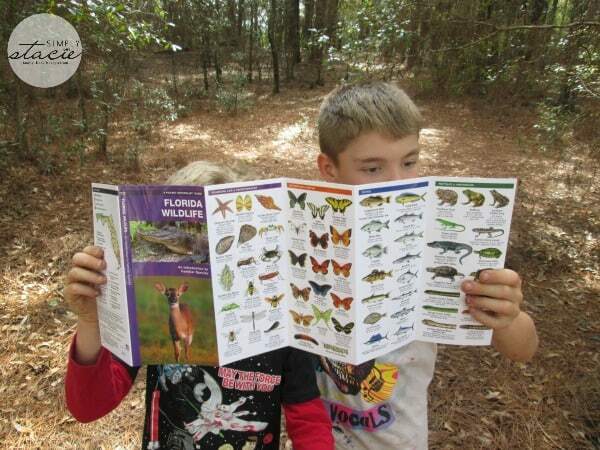 My children took one of the pocket guides from the Jeff Corwin Explorer series with us on a recent homeschooling adventure outdoors at a local nature park i.e. The World of Snakes. While we were walking along a trail near a pond, we noticed a large black snake with a pointed, triangular head. We immediately retreated as I was able to identify it as a deadly water moccasin. When we got back to our picnic table where they were doing their book work my children referenced this guide and read the informative section titled, Human & Snakes which talks about what to do if an encounter occurs as well as prevention. My husband has been a large scale printing press operator for over 25 years and commented that these pocket guides are made using the highest quality materials so we can feel confident that it will be durable on all of our many adventures. The vibrant colors, vivid and detailed photographs and illustrations along with interesting text is both educational and entertaining. Designed specifically for use in the field, we love that it can withstand inclement weather and other challenging conditions. The sleek design maximizes space so we can easily toss one (or several) into our backpack or even in a pants pocket! The accordion style pocket guide is convenient and easy to use for both adults and children. I am very impressed with the value of these Jeff Corwin Explorer series pocket guides which are available for purchase for the economical price of only $7.95 each which is a bargain in my opinion. There are so many different Pocket Naturalist Guides available at Waterford Press and a few of our favorites include Florida Wildlife, Florida Birds and Florida Seashore Life (SRP $6.95). These pocket guides will be a stable in our travel bag or backpack on all of our adventures. We are staying in a cabin in the mountains of Virginia this summer so I was really excited to discover that there is also a pocket guide for the Shenandoah National Park (SRP $5.95) which will give us an introduction to the familiar plants and animals that will may encounter while hiking and biking in the park. There is nothing more satisfying to me than watching my children get excited about the natural world. A pocket guide from Waterford Press is a wonderful way to engage them and get them even more interested in learning about the animals and plants in own locality or around the world. I am very impressed with the quality and content of the pocket guides from Waterford Press and look forward to using additional resources such as the Field Guides, Nature Activity Books, the Pathfinder Outdoor Survival Guide (a great gift idea for my husband and son who love to practice survival skills) and much more. Before you head on your next outdoor adventure, be sure to head over to Waterford Press first to pick up a few pocket guides! I think the Jeff Corwin’s World Of Snakes would be interesting to have. I’d like the butterflies and moths one, both of my girls are pretty into butterflies! I like the Oregon wildlife guide. I went for a walk today at the Shaker Nature Center and stopped at the Duck Pond Gift Shop. The Butterflies & Moths was one of the Pocket Guides I browsed through. It reinforced the display outside with butterflies and moths of our NE Ohio region. I like the wilderness survival guides. My favorite pocket guide is The Night Sky, I love star gazing. My favorite pocket guide is the Edible Wild Plants. I think we would get a lot of use out of the snakes or bugs guides. We live in a rural area and always have creepy-crawly visitors. I like the Edible Wilds Plants Pocket guide. How cool I want one! I like the Butterflies & Moths guide. My favorite one is the Mushrooms one. I’d love the Medicinal Plants guide. Thanks!